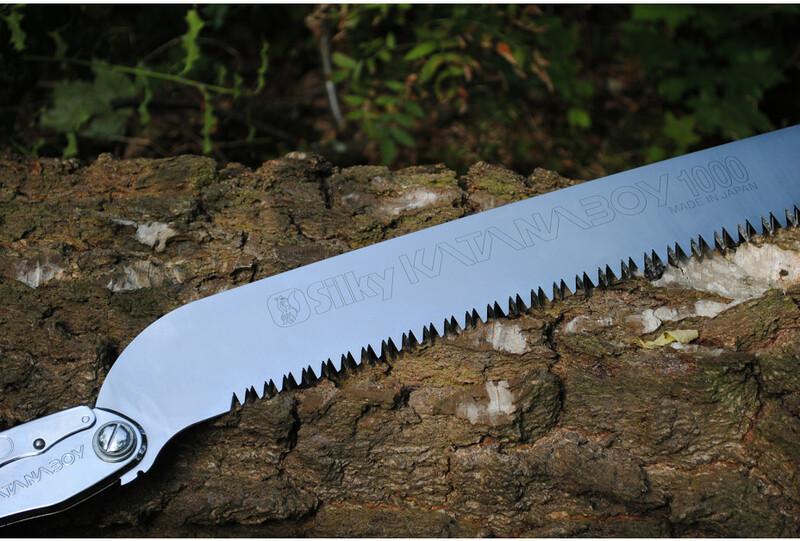 Get to know to the longest folding saw in the world! 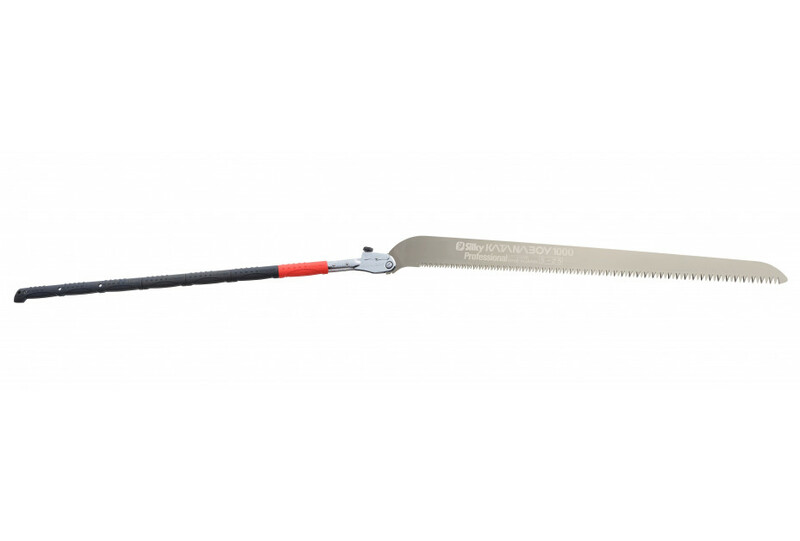 This powerful pull saw has a blade of no less than 100 cm, with which you can easily saw through tree trunks of 50 cm. 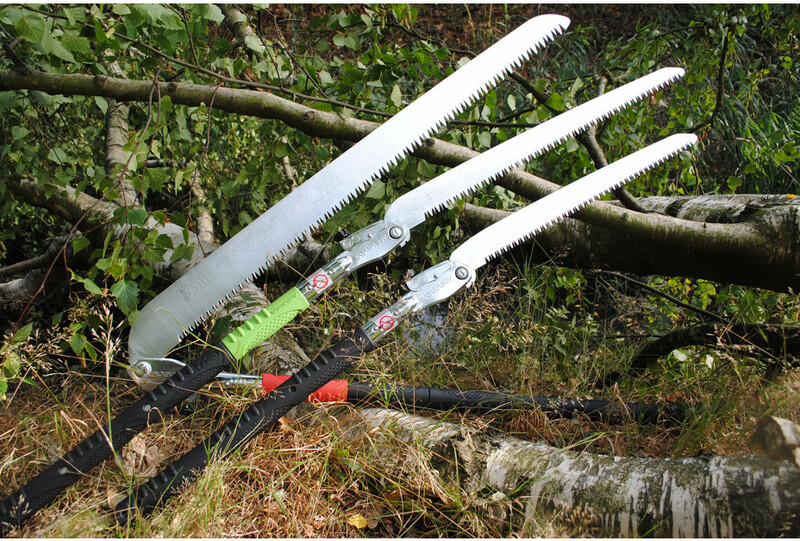 That is why the Katanaboy can comfortably be compared to a chainsaw, but then without the oil, gasoline, noise and pollution. 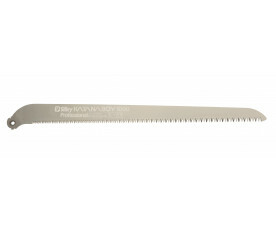 Moreover, with a weight of only 2 kg this saw is easy to carry. 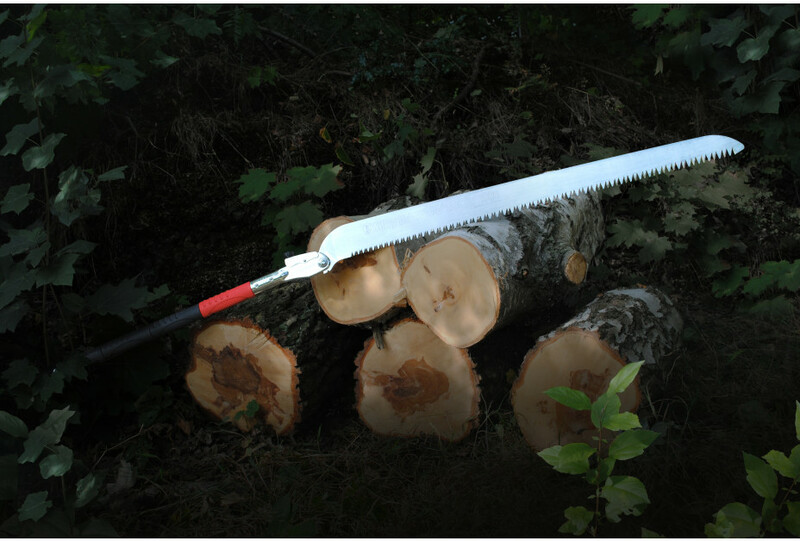 This is the ideal saw for the tougher jobs: trail maintenance, sawing fire wood or building a shelter during your camping trip in the woods. You will be amazed at how little energy is required to get the results possible. 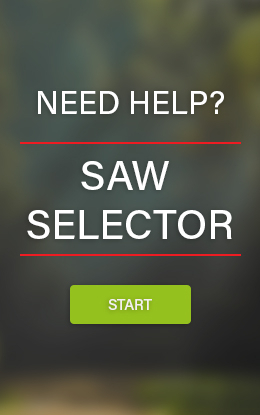 And secretly, it just gives an awesome feeling to be sawing with this saw! The Katanaboy can really handle everything: wet, dry, rotten or hard wood. The strong blade has a progressive teeth ratio from 5 to 2.5 teeth per 30 mm. The finer teeth near the handle help the saw with the first cut. The extra coarse teeth aggressively tear through the rest of the branch. The teeth have been grinded into the blade in a unique way and stay sharp for a long time. By means of the locking button, you can quickly and easily unfold and fold this saw. 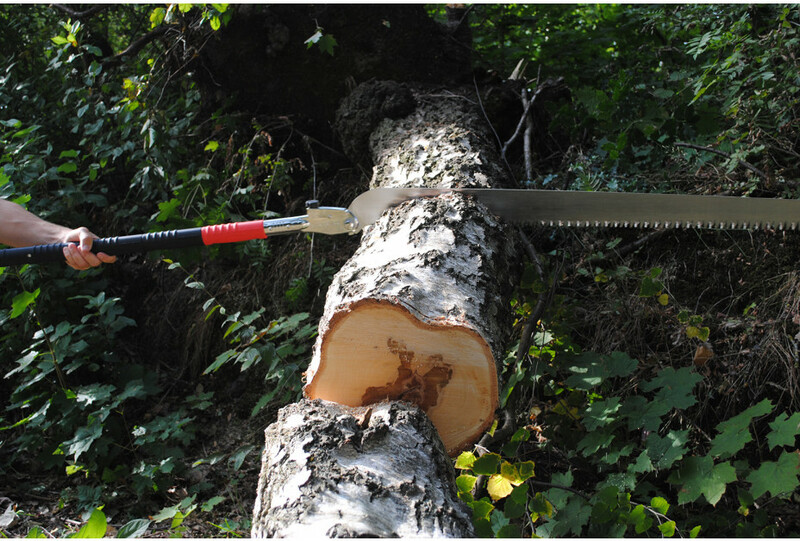 For safety purposes, this process happens in two phases: first the saw can be folded halfway, and then (watch your fingers!) the saw can be folded fully. The ergonomic rubber handle absorbs the vibrations. 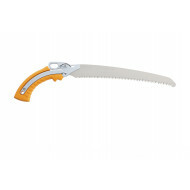 By using the Katanaboy with two hands, the shoulders are more relaxed which has a fantastic effect on the sawing power. The Katanaboy 1000 is delivered with new nickel coating. The Katanaboy was named after the ‘Katana’ sword of the Samurai. 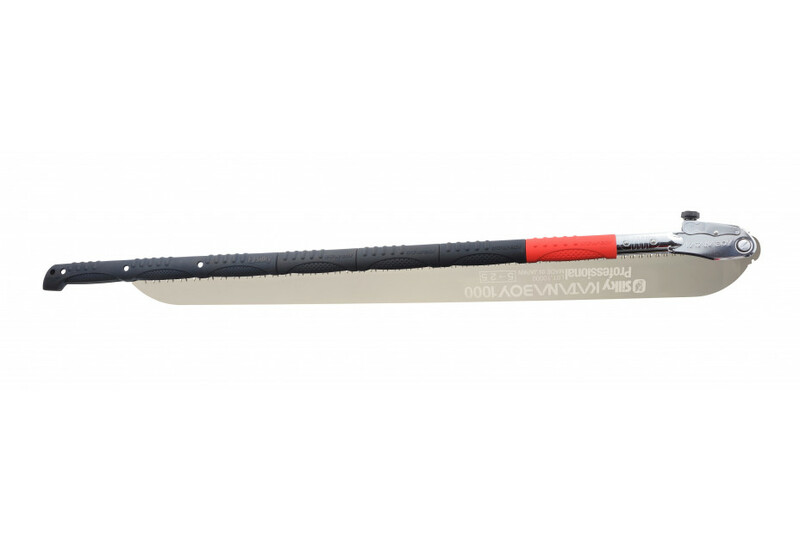 The Katanaboy is available in 3 different versions: the Katanaboy 500-5, Katanaboy 650-4 and the Katanaboy 1000-2.5-5. As with any Silky saw, the teeth stay sharp for a long time. If deemed necessary, the teeth of the Katanaboy can be sharpened with a Silky file. The Katanaboy comes with a sturdy, nylon shoulder-bag with Velcro closure. The bag has an extra pocket for a replacement blade. When not using the saw, make sure it is dry at all times. 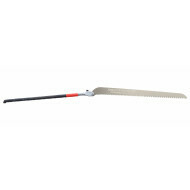 Store the saw in a dry place, preferably in the nylon shoulder-bag.